The Massacre in Baga, Nigeria — Socialism or Barbarism? The bloody 4-day massacre in Baga, Nigeria, is a chilling reminder that as gory as Nigeria’s security challenges may already be, there is actually no limit to how far things can degenerate. Initial accounts put the death toll at about 2,000 with 35,000 displaced. However, the Army has dismissed this figure as exaggeration. In an official statement the Army spokesperson General Chris Olukolade stated that the number of people killed including Boko Haram fighters “has so far not exceeded about 150”. But whether 2000 or 150, this is an incredible loss of human life on a single day. A total of 3,720 structures (homes, clinics, schools) were razed during the attacks on Baga and Doron Baga. Survivors talk of walking through empty villages filled with dead bodies. It is unacceptable, condemnable and unconscionable. Socialists condemn this carnage and join Nigerians to demand an end to this daily loss of human lives. In latest satellite imagery, Amnesty International described the attack on Baga as a “devastation of catastrophic proportions in two towns, one which was almost wiped off the map in the space of four days”. Of all assaults perpetrated by the sect, it was the “largest and most destructive yet”. By all standards, describing the 6-year onslaught of Boko Haram simply as terrorist attacks is now a gross understatement. This is a war going on within the territories of a sovereign nation. In parts of the three north east states, governmental authority has broken down as the sect members hold sway. The sect now controls much of the border between Nigeria and both Chad and Cameroon, giving them control over trade and movement of goods. Boko Haram – an Islamist terror group – has kept pushing the standards of world terrorism to new levels with its exploits. In the night of 14-15 April 2014, 276 school girls were abducted from the town of Chibok in Borno State by this terror group. Except for a few who were able to make a dash for the bush while being transported to the group’s hideout, nothing has been heard about them since then. This is despite international outrage and a boisterous protest campaign (#BringBackOurGirls) for their release in Nigeria. Instead of abating, Boko Haram has continued a practice of daily deadly carnage. 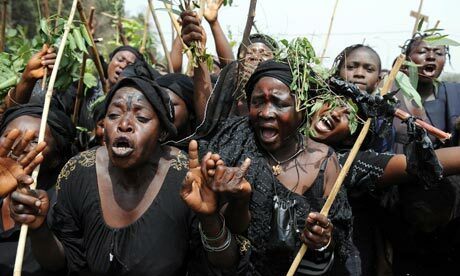 They have also established a hold in Cameroon where they recently kidnapped about 80 people, many of them children, and killed three others in a cross border onslaught on villages in the northern part of the country. The breathtaking capability of this sect to perpetrate violence is so alarming that hardly has the public recovered from one carnage before another happens. Equally alarming is the helplessness of the military. During the attack on Baga, soldiers were reported to have “joined civilians fleeing into the bush”. Baga is actually the headquarters of the Multinational Joint Task Force (MNJTF) – an international force of soldiers from Nigeria, Niger and Chad set up on 1994 to deal with cross-border security issues, and recently Boko Haram. When the Boko Haram fighters came, they first overran the MNJTF’s military barracks. There are reports that the soldiers had to flee after repelling the sect members for nine hours with no reinforcement. 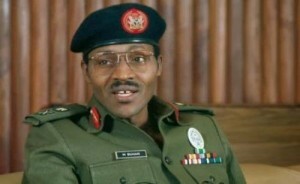 The rout of the Nigerian army points to general loss of confidence in the regime and system. Years of corruption have led to decay in the army including lack of adequate equipment and weaponry and a rank and file whose living standards is as poor as the rest of the working class. As a result the solders are not willing to risk their lives for the corrupt ruling elite. Mutinies have occurred and a series of courtmartials have happened. In September 2014, 12 soldiers were sentenced to death for mutiny. Late last year, an additional 54 soldiers were sentenced to death for disobeying a direct order. Over 100 are still on trial for offences ranging from losing rifles during operations, negligence and cowardice. However instead of restoring discipline, the highhanded measures have continued to create anger among soldiers, their families and dependents. “We are surprised that we can be treated like this in our own country. We were sent to fight insurgents without weapons. A lot of our colleagues were killed in the course of defending our fatherland. Even those who are in hospitals treating injuries they sustained from battle fields were also dismissed while still on hospital admission. The worst situation is that families of our colleagues killed in Adamawa and Yobe are languishing in hunger as Nigerian Army refused to pay their entitlements” (This Day 17 Jan 2015). In addition it has again come to light that soldiers, police and other security personnel often have to buy their own uniforms, kit and in certain cases have to buy bullets by themselves when they are deployed to troubled zones with very poor supplies of ammunition. The pitiable condition of the army, police and other security personnel despite the billions of naira being voted annually to the “war on terror” since 2009 which the Boko Haram insurgency has helped expose, deserves a vigorous campaign by the trade union movement. Rank and file soldiers are members of the working class that they are being sent to be slaughtered deserves our special condemnation and fraternal solidarity. This is not the same as supporting the government’s “war on terror”, rather it is about consolidating with the working class members of the army and uniting them with their class. Such campaign must demand reversal of all disciplinary actions against soldiers at the frontline, improvement in the welfare condition of the rank and file personnel of army, police and other security operatives, adequate compensation to the families of those killed in action, wounded or incapacitated and proper remuneration of those in service, democratization of the army and police and the right of soldiers, police and other security personnel to form a trade union to defend their rights. 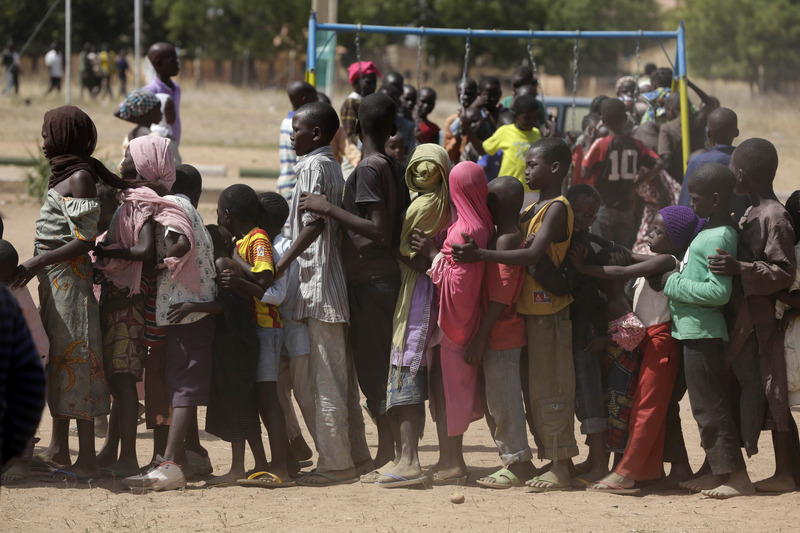 The reality of the over a million Internally Displaced Persons and the fact that much of the three states of the North East (Borno, Yobe and Adamawa) have been overrun completely is creating a serious crisis for the conduct of the 2015 presidential and general elections billed to commence of February 14. Leaving aside the general question of how democratic these elections will be, there is a credible doubt as to the capacity of the Independent National Electoral Commission (INEC) to conduct voting in the three North Eastern States that the Nigerian government has lost control over in the face of relentless assault on military bases, razing of towns and villages by Boko Haram. The question of how to end the Boko Haram carnage has dominated the campaigns for presidential elections coming up on February 14, 2015. In this election, President Jonathan of the People’s Democratic Party (PDP) who has led for six years an anti-poor capitalist government that is generally acclaimed to have under-performed even by Nigeria’s standard, faces an uphill task of sustaining the tradition of incumbents often winning re-elections. The main opposition, the All Progressive Congress (APC) candidate retired General Muhammadu Buhari has pledged to end the insurgency if elected. But the question of how he will approach the issue differently from the current regime is not clearly stated. However it is clear that what is on the cards of both PDP and APC presidential candidates as solution to Boko Haram insurgency is not far from increased military actions. As a retired general and former military Head of State, Muhammadu Buhari hope to leverage on his martial experience as well as his special advantage of being a Northern Muslim. As desirable as a military solution might be in the eyes of traumatized Nigerians, the reality is that it is only going to bring a temporary reprieve. 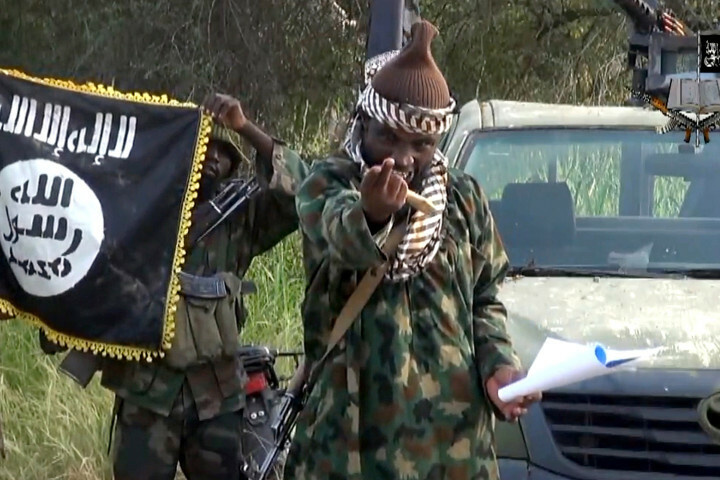 There can be no simple military “solution” to Boko Haram. It is the monumental failure of the capitalist ruling elite that has provided favorable conditions for mass recruitment of youths and poor by the Boko Haram. The late founder of the Boko Haram Muhammed Yusuff was able to attract mass following in the North-east part Nigeria, adjudged to be poorest and least developed in the country, because of preaching and sermons that railed against inequality in society and corruption of the ruling elite found resonance in the hearts and minds of alienated jobless youth and poor existing on the margins of society. It is however important to stress at this point that Nigerians must not forget that it was the extra-judicial execution of Muhammed Yusuff in police custody in 2009, after being paraded in front of TV cameras, that made Boko Haram become the terror it now is. In addition to the extra-judicial murder of Yusuff and other sect leaders and financial backers, over 700 sect members were massacred in a major clampdown which saw the then superior-armed Nigerian police engage sect members equipped with bows and arrows in an operation aimed at completely exterminating them. However, instead of this happening, the sect merely fell under the leadership of a more extremist wing represented by Abubakar Shekau and others who are alleged to have links with Al Quaeda in the Islamic Maghreb. By the time Boko Haram reorganized and started a series of revenge attacks, they were now better armed with bombs, RPGs, Kalashnikovs and with vast technical expertise and fighters rumored to have had training in Somalia and other centers of terrorism in Africa. Therefore even if Boko Haram is put down, in so far as all the contradictions of the alienation of vast majority, especially youth, from the wealth of society remains, there is always the chance that violent agitations will erupt elsewhere in Nigeria. For instance, the fact that there was a Vice President (who later became President) from the Niger Delta in the person of Goodluck Jonathan may have contributed to making it possible to temporarily buy off the Niger Delta militants in an amnesty deal worth several billions of Naira. But even if the fact of a Northern Muslim President with Military experience makes it possible at some point to end Boko Haram’s carnage, Nigerians should expect similar violent and cacophonic agitations erupting from other ethnic, religious and some other extremist groups. Boko Haram is not the first such movement in the north, “its reactionary and religious credo started far much earlier with the upsurge of the Maitasine movement from the early 1980s” (Socialist Democracy Jun-Jul 2014). And, so long as the conditions of crisis, poverty and corrupt rule exist, a military crushing of Boko Haram will not in itself prevent similar movements emerging in the future. This is because first and foremost, Nigeria’s seemingly intractable ethnic and religious crisis are products of the unresolved National Question of Nigeria including the undemocratic way the British Colonialists amalgamated the different entities that came together to become Nigeria, the exploitative and iniquitous system of capitalism as well as the legacy of neo-colonial capitalist elite who regularly play on religious and ethnic sentiments to incite agitations aimed at furthering their own self-serving political aims and ambitions. Therefore the only reliable and sustainable way to bring a permanent end to Boko Haram and other forms of ethno-religious crisis is to ensure that Nigeria’s enormous oil and mineral wealth which under the current system of capitalism goes to benefit just 1% of the population is now used for the benefit of the mass majority. This is the only way to begin to undermine religious and ethnic division. This will require that the State embarks on a massive public-funded social program that will involve large scale development and improvement in the infrastructural and socio-economic condition of Nigeria, provision free education and health, massive job creation and the redistribution of wealth. However for these social programs to succeed, the working masses have to replace the exploitative and iniquitous system of capitalism with a democratic socialist system. If for instance, there is provision of free education at all levels, training in skills and employment of all in gainful jobs; it can be possible to begin to engage the millions of almajiris (the poorest of the poor in the North) who are the material that end up following Boko Haram and other extremist forces. That will significantly deny Boko Haram fresh recruits and begin to undermine their appeal. Boko Haram itself maintains authority over its army of former street urchins and alienated youths partly because it provides food, money and some guaranteed living standards all of which are the constitutional responsibility of government but which capitalism has made impossible for the state to accomplish. It is a fact that no section of the ruling elites subscribe to a political and socio-economic alternative that can deliver this solution. For instance, the two major political parties contending for presidency in the 2015 general elections (PDP and APC) are both renowned for anti-poor, neo-liberal capitalist policies of education underfunding, fee hike and commercialization. Neither of the parties therefore can provide any permanent solution to Nigeria’s challenges including the Boko Haram insurgency. The responsibility of rescuing the Nation from barbarism lies solely with the working masses and youth of Nigeria. Any illusion in any section of the ruling class will meet with disappointment. There is the urgent necessity for the labor movement to rise up now to take the lead to unite Nigerians around a program of action to fight for socio-economic improvement. It is the inability of the leadership of the labor movement to provide a bold revolutionary alternative to the blind alley of capitalist exploitation in Nigeria that has provided the vacuum into which Boko Haram has stepped with its extremist ideology. Such is the gravity of the situation that even sections of the press are asking why the Labour leadership are practically silent and inactive? On New Year’s Day the editorial in the Punch newspaper wrote about political leaders “celebrating in opulence with their families, (while) many Nigerian workers are hungry –and angry” and ended with the words “The NLC must lay down the marker and fight for the welfare of Nigerian workers”. But unfortunately the Labor leaders, while sometimes issuing demands, have not concretely proposed action to achieve them. It is this inactivity that gives space to groupings like Boko Haram to mobilize sections of the most alienated and poorest. But there is a great latent potential for joint struggle. During the general strike against fuel subsidy removal in January, 2012 led by the labor movement, the North witnessed some of the most glorious moment of the tremendous mass movement. Pictures of Christian protesters linking arms around groups of Muslim protesters observing their prayers at the barricade flooded the media. This attest to the capacity of the working masses to overcome ethnic and religious division and unite to fight for a common cause especially when a bold lead is given by Labour. For as long as the Labor leadership continues to abandon its historical role of leading the working and poor masses out of the abyss of capitalism, fundamentalist groups will continue to serve up their deadly poison to be lapped up by desperate masses. We need a political and revolutionary alternative to build a united movement that can offer to the ethnic and religious-soaked capitalist dispensation a future of genuine unity, solidarity and fraternity of all working class people regardless of ethnic or religious persuasion. Such a society is not possible on the basis of capitalism. As Rosa Luxembourg, the German socialist and revolutionary once said, it is either socialism or Barbarism. 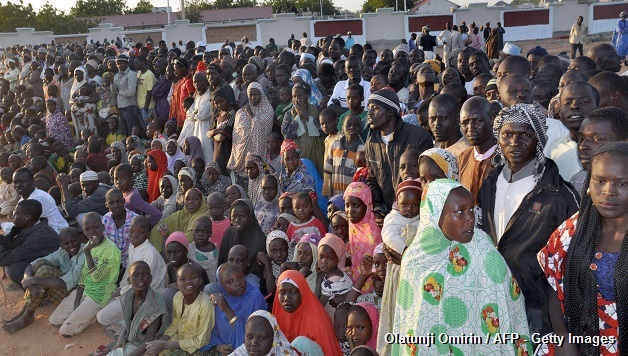 Independent actions which are now vital to defend neighborhoods and communities against Boko Haram attacks. The Democratic Socialist Movement (DSM) and Socialist Party of Nigeria (SPN) call for the setting up of armed multi-ethnic and multi-religious defense committees composed by working people and youth and under their democratic control and authority to provide security for neighborhoods and communities. Improvement in conditions at refugee camps including adequate provision of food, potable water, sanitary facilities, beddings and sleeping materials, health care and a program for reintegration. For the trade union movement to intervene and visit the refugee centers to ascertain the condition of Nigerians there and take up the fight for improvement. The reversal of death penalties and dismissal from the military issued to soldiers and other members of the security forces accused of disobeying orders, negligence and cowardice in the war against Boko Haram. Improvement in the pay and condition of rank and file soldiers and other security operatives including their rights to form and belong to trade unions, call a strike and question unacceptable decisions of their commands. The building of solidarity actions like rallies and protests to be organised by labor and civil society to begin to unite the working masses against the Boko Haram insurgency as well as the anti-poor capitalist policies that provide enabling conditions for recruitment of youth and poor people by Boko Haram. That the labor movement builds an independent movement that can begin to fight against anti-poor policies and for provision of free education, gainful jobs, increase in the National Minimum Wage and for better living conditions. That the Nigeria Labour Congress and Trade Union Congress call a conference of trade union, socialist and pro-masses organizations to discuss the formation of a working people party armed with socialist ideas to fight for working class takeover of political power and a society free of ethnic and religious division.